Freedom and Flourishing: How much willpower do we want to exercise? 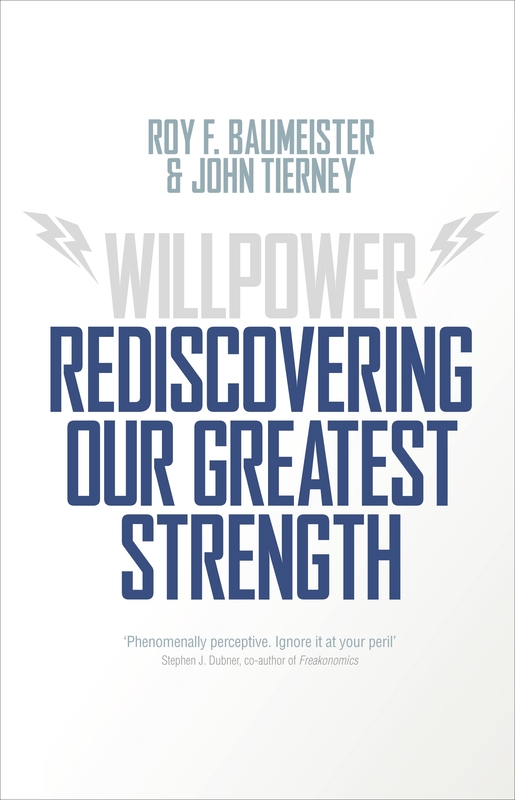 Where does a person get the willpower to read a book with the title, ‘Willpower: Rediscovering our Greatest Strength’? A book with such a title could not help reminding readers of their past failures in exercise of willpower. However, I didn’t find the book by Roy Baumeister and John Tierney an ordeal to read. Rather than making me feel more guilty, the book left me feeling that some of my past failures might perhaps be understandable under the circumstances. The authors discuss research findings which suggest that in the short term an individual’s willpower is limited and is depleted by exertion. When your willpower is depleted you are more likely to become frustrated and to act impulsively. This means that the best time to make changes in your life is when there are few other demands being made on you, so you can allocate most willpower to the task. The book provides some good advice about how to deal with procrastination and the anxiety that can be associated with it. For example, once you make a definite plan to do the things that you have been procrastinating about, you will stop fretting about them. If you find yourself procrastinating by substituting other activities for the activity that should have highest priority, try the ‘nothing’ alternative. Set aside time to be spent either on the high priority activity or doing nothing. The book also has good advice on how to deal with temptations. Postponement can work better than trying to deny yourself altogether. Where necessary, use pre-commitment. Set bright lines – clear unmistakeable boundaries that you expect your future self to respect. Monitor performance regularly and don’t forget to reward yourself for reaching goals. One of the points that came through to me in the book is how careful we need to be in making judgements about the ability of other people to exercise willpower. For example, the book suggests that it is often a mistake to attribute obesity to lack of willpower. Paradoxically, many people who are over-weight or obese have in the past exercised a great deal of willpower in following crash diets that have resulted in rapid weight loss. The problem is that when subjected to diets that simulate the effects of famine, human bodies tend to respond by holding on to every fat cell they can. My main reason for reading the book – apart from the feeling that my own willpower could do with some improvement – was to see what light it sheds on arguments for government interventions to remove temptations that are bad for individual health and well-being. This issue is not discussed directly but, as the subtitle implies, the book argues strongly that individuals have the potential to exercise a great deal of self-control if they know how and want to do so. This raises the question of how much self-control each of us wants to exercise over our impulses. While reading the book I found myself thinking that I don’t actually want to remove from my life all temptations for impulsive behaviour that I might later regret. I feel that I may obtain some satisfaction from leaving myself somewhat vulnerable to impulsiveness. For example, while I accept that there would probably be health benefits in restricting my (already moderate) alcohol intake to one glass of wine per day, that is a bright line that I don’t want to draw – at least, not yet! I suspect that a lot of other people think as I do about such matters. We feel that it is appropriate for the control we exercise over ourselves to be somewhat lenient. Some of the boundaries we set are deliberately flexible, for example with allowances for special occasions. We don’t want our lives to be totally governed by bright lines. The last thing we want is a paternalistic government that seeks to help us by taking the temptations out of our lives. Paternalists tend to respond: ‘It's not about you. Our aim is to help vulnerable people’. So why don’t they help vulnerable people to develop the inner strength they need to deal with their addictions and leave the rest of us to run our own lives for ourselves?